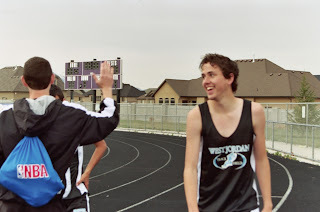 A 56 quarter--that's smokin' Your son, no matter what happens with running, will always have fond memories of tracks. Just a whiff of Ben Gay and my whole body transports back to those spring afternoons. That picture really is something to talk about. It's neat that you could capture that! I agree with Ron. A fast time. 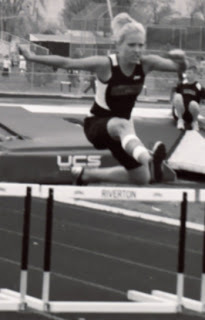 And I have fond memories of track. 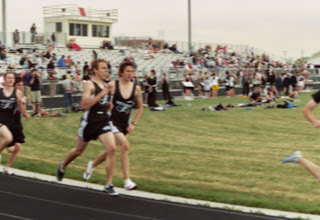 I ran the 800 and the 2 mile. I was much slower that Running Son, however.